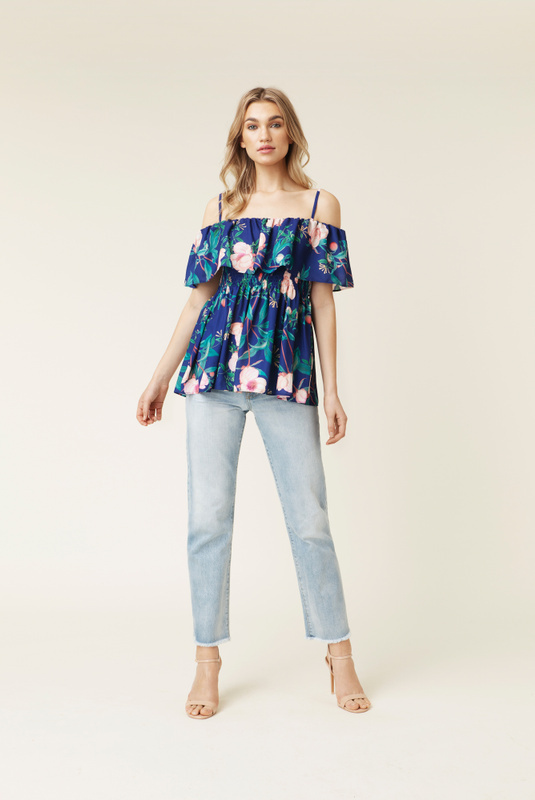 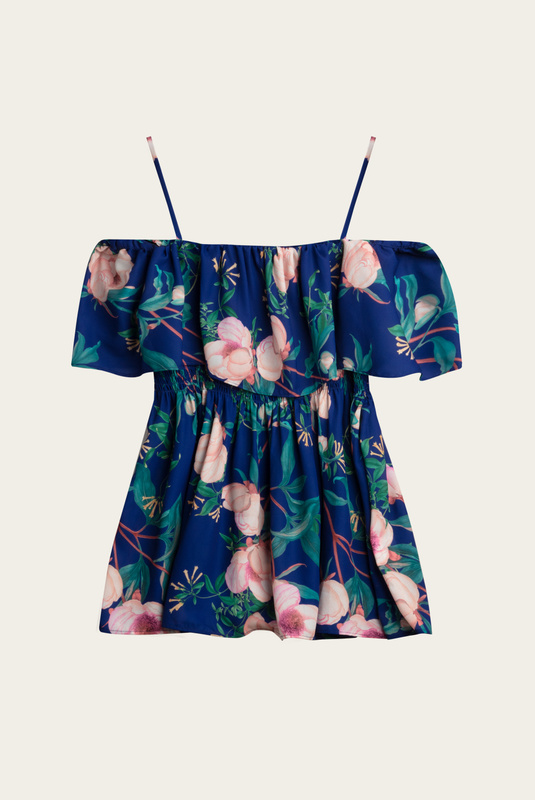 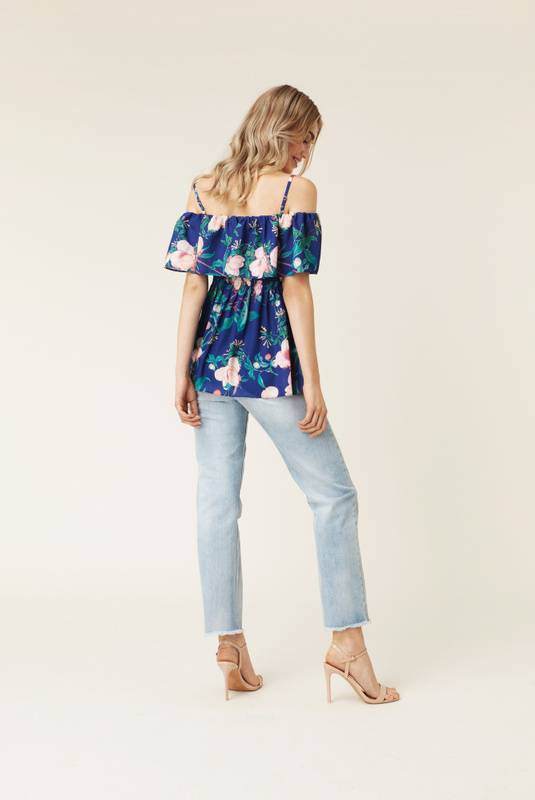 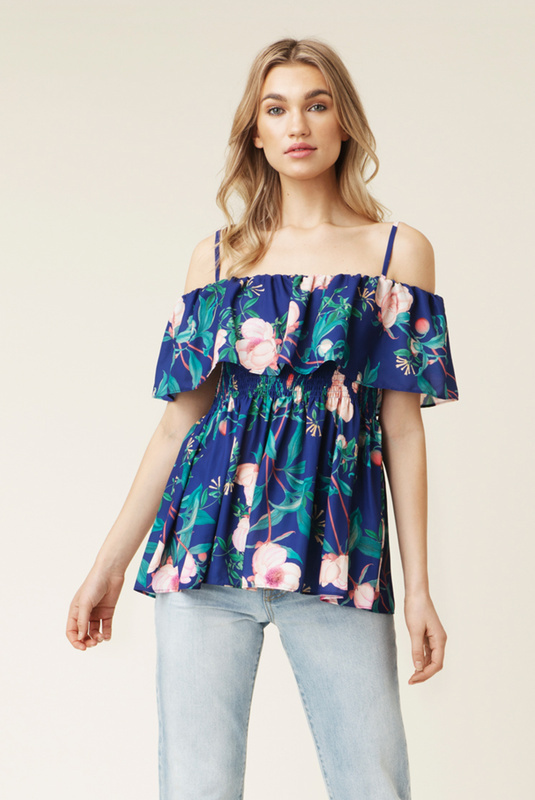 Cara top is an off-shoulder blouse that has a shirred bodice that highlights the narrowest part of your frame while creating a flattering peplum hem. 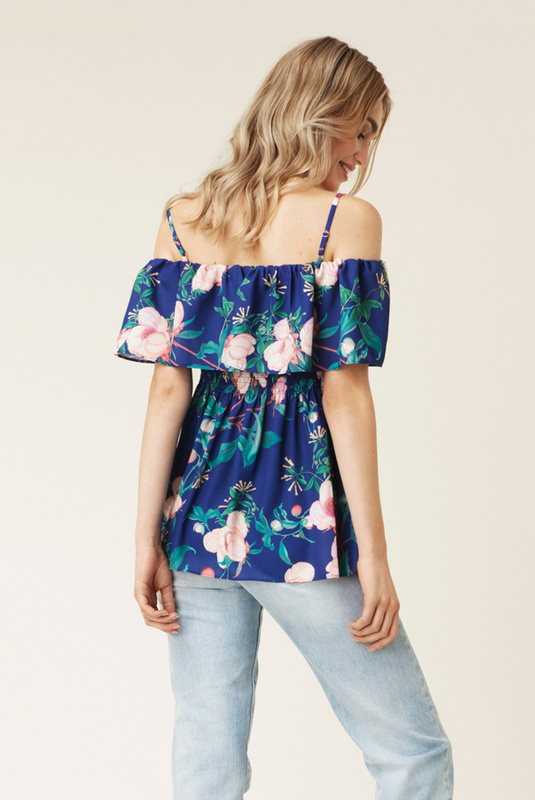 Under the top frill there are a t-shirt sleeve to cover up. 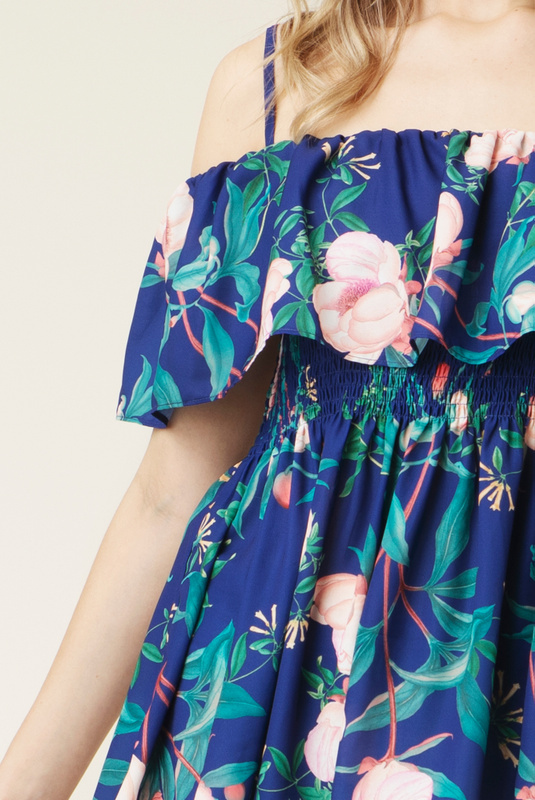 Wear it multi-ways without sleeves.